Not your normal super-pumped-amazing-lets-do-awesome-learning-today self? Contemplating not going to work? Just have a 'Yes Day'. 'Yes Day' was passed to me very early on in my career - handed down from a very experienced teacher who trusted me with the sacred knowledge. Not only have I used this technique in my teaching life. I've used it here at home. Even mothers have 'Yes Days'. Now. Imagine you didn't go to work today, and a substitute teacher took your class. Things would go somewhat as planned, but things would be different, right? But....the kids would still be alive and the sun would still set even though you were not there doing-you-normal-thing - am I right?! Well, so will it be on 'Yes Day'. But there will be no substitute teacher. Or mother. It will be you, but with a fresh new walk-in-and-walk-away attitude. Just to get you through. It will be a day where you just say 'yes'. To yourself. Nobody else will know it is 'Yes Day'. The absolute key is not to use this technique too readily. So. On 'Yes Day' things relax a little. You say 'yes' A LOT! Mostly to yourself, but even more than you normally do with the sweeties. Can I draw fangs on mine? Yes. Well, that is exaggerating just a smidge... but you get the picture. It is also the metaphorical 'yes' too. Just letting go a little and letting things slide that would not ordinarily be allowed to. 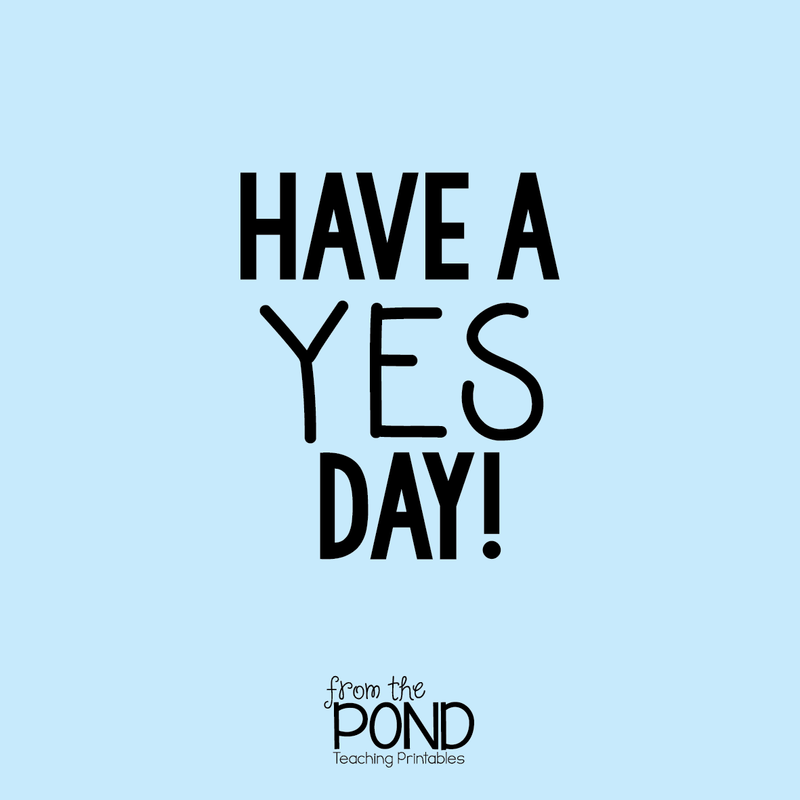 Give yourself a 'Yes Day' - you deserve it! And the best part is, that you will probably notice things going a lot better than you thought they would!